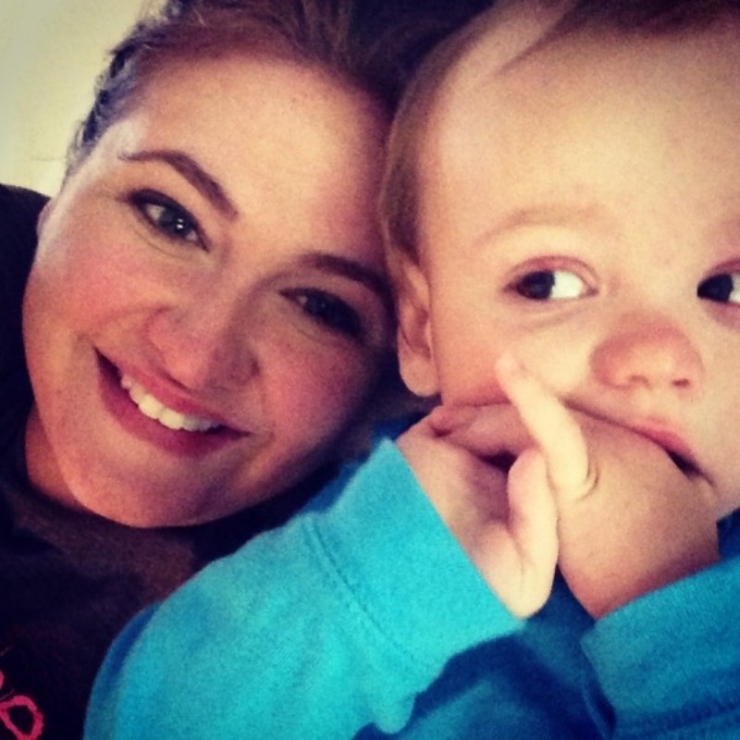 Tripp’s mom, Jessica, leaves us stunned and silent. In our conference room, you could hear a pin drop. She goes on, talking about Tripps’s journey, and how much of a roller coaster the last three years have been. The courage in her voice, the unshakable confidence, is not what we expected after reading her son’s application. In fact, it was the last thing we had expected. But the thing about the Nichols family, we were soon to find out, is that they make a habit of shattering expectations. After Nick and Jessica got married, they couldn’t wait to start a family. When the excited newlyweds welcomed Tripp on May 7, 2012, it was love at first sight. They took home their bundle of joy who “appeared to be typical in every way.” The next few months they watched in awe as their son met all of his milestones on time. He learned to sit up, roll over, and hold his bottle. Until one Friday night, when all of his progress came to a crashing halt. Tripp was playing with his grandma on the floor when he started to crunch forward, lifting his head off the ground and contracting towards his knees. Alarmed, his grandma picked him up but he continued to do it. The color drained from her face. Tripp wasn’t moving voluntarily. He was having a seizure. And just like that, the Nichols’ life changed forever. 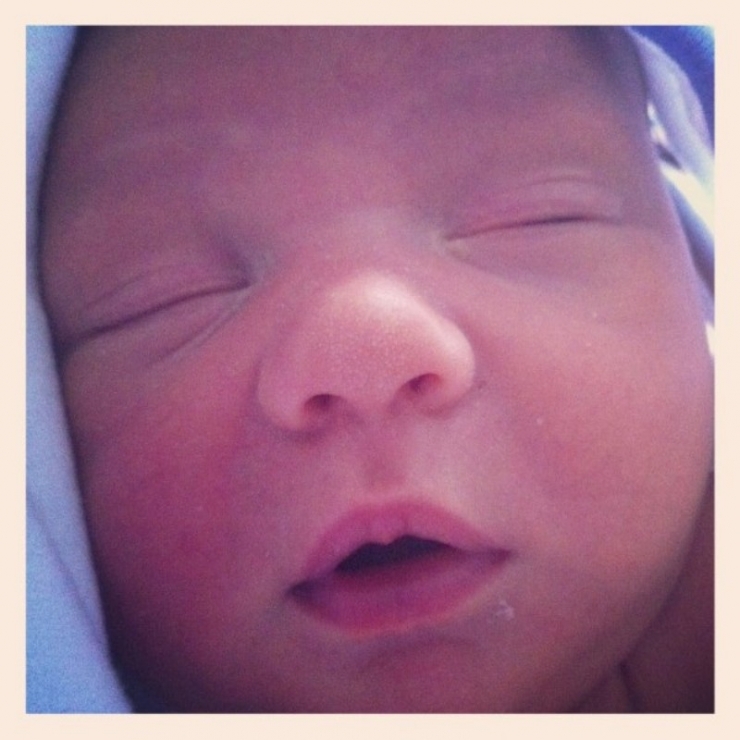 The few months of careless adoration of their perfectly healthy baby boy were over. The time they were entering was a period of constant fear, confusion, and darkness. 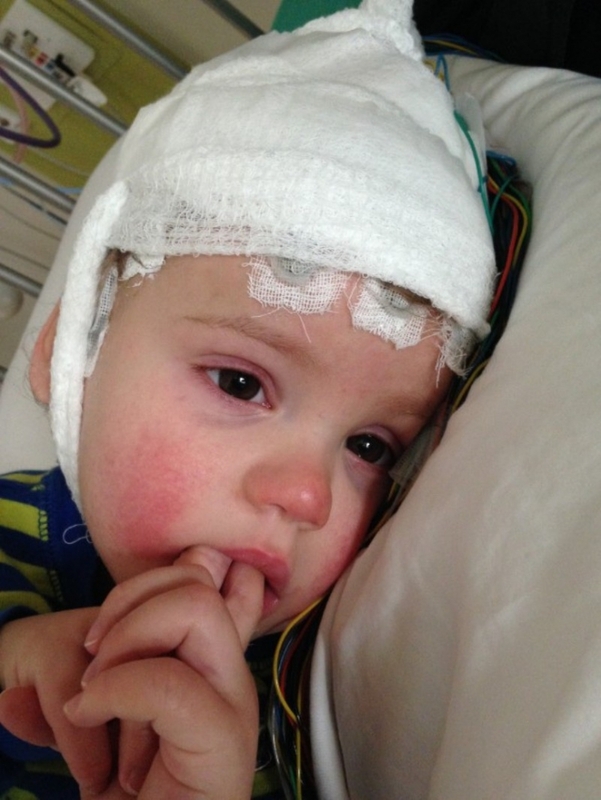 What ensued was a whirlwind: rushing to the ER terrified that they were losing their son, being admitted to the Children’s Hospital, doctors testing their four month old, hooking up wires to him, running EEGs and MRIs. Unfortunately, the bad news had just begun. “Children like Tripp don’t live long, productive lives,” the doctor began. “In fact, they don’t live long at all. Keep him home and love on him because he probably won’t see his first birthday.” This news knocked Jessica and Nick to their feet. They cried all night, they prayed, they mourned the life they had originally wanted for their son. But – the doctor made one giant error. He delivered this sentence without knowing who he was talking to. He had no idea. This was not the family that was going to take their baby home to die. This family was going to pull themselves up and start finding creative solutions to this problem, do something rather than nothing. This was a family of fighters. And they were about to discover the community that roots for the underdog. 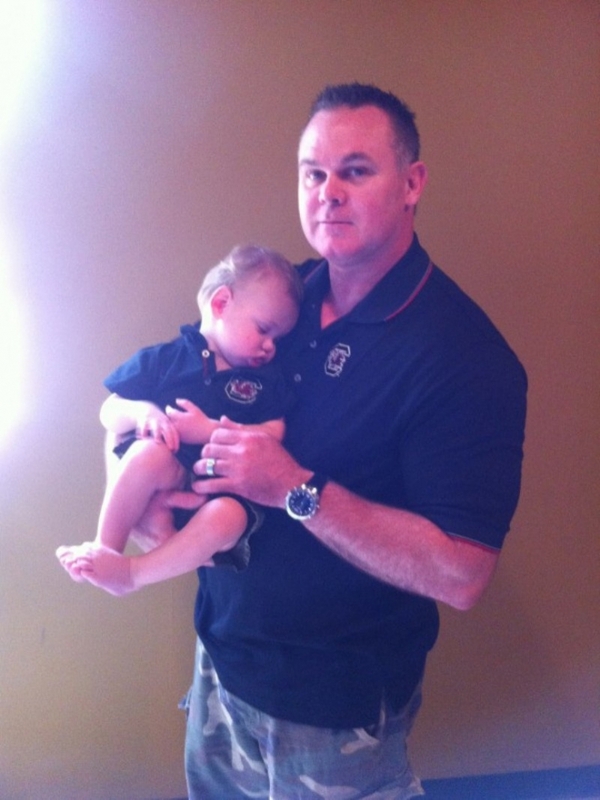 5/7/2012: Tripp's debut to the world! 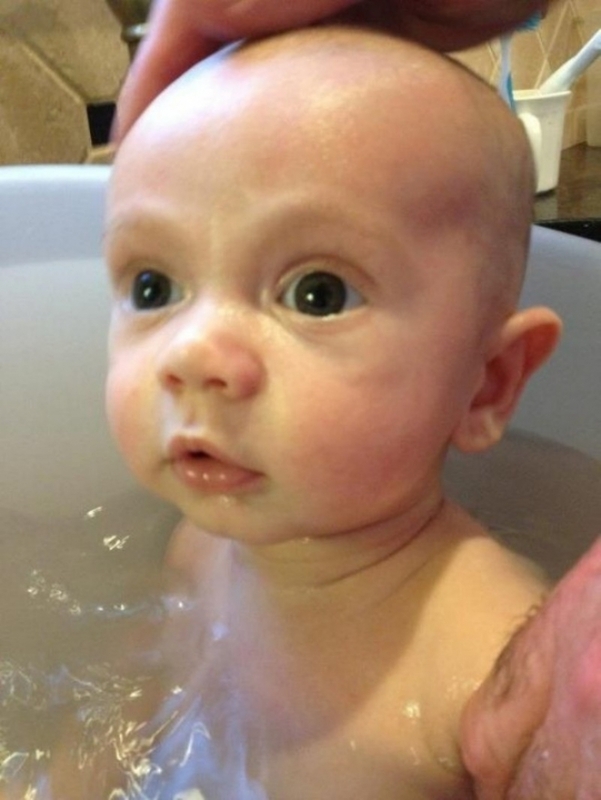 This wide-eyed boy was completely active and hitting all his normal milestones until things completely changed in one night when he was four months old. Since then, Tripp’s future has been just as uncertain as the source of his problems. 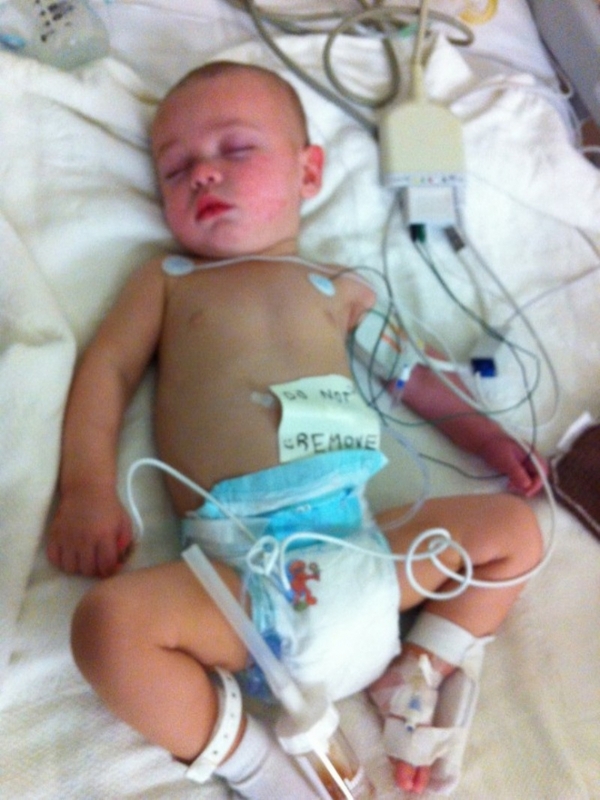 A considerable part of Tripp’s short life has been spent in the hospital or ER, hooked up to a machine. 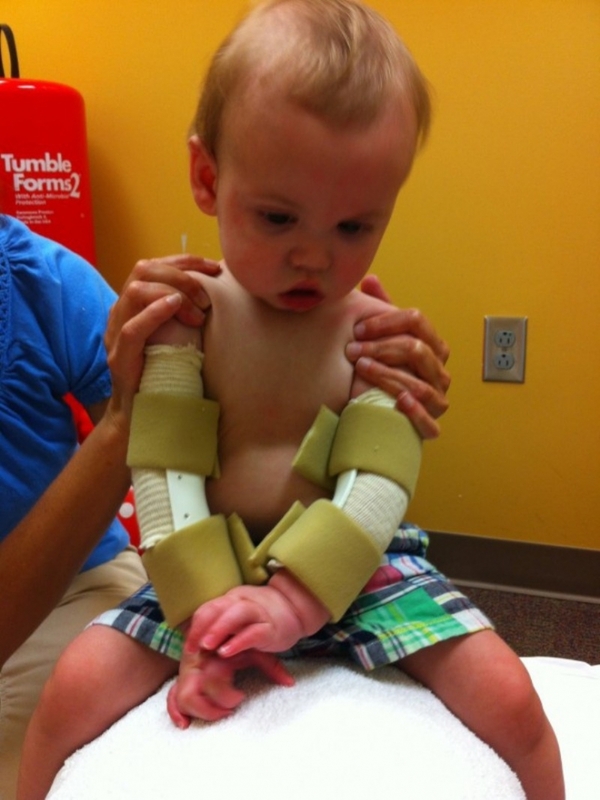 Tripp does constant physical therapy to try and build motor skills and control his movements. He is non-verbal but makes “a lot of noise.” Each day this loud, silly boy makes strides that surprise his therapists and shatter his doctor’s original prognosis. Tripp and his mama! 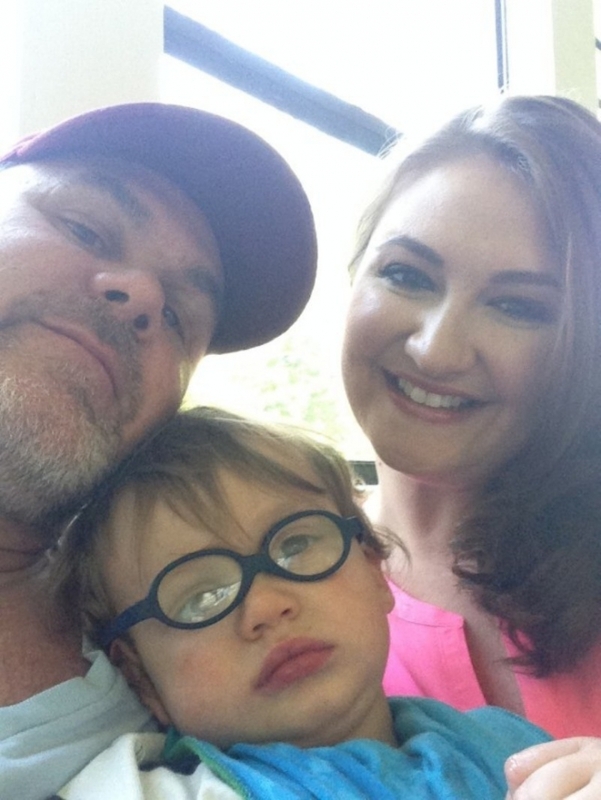 Jessica stays home to provide 24-hour support for Tripp, organizing his constant stream of appointments, physical, vision, and speech therapy, and anything else the little man needs. Dad Nick works full-time to provide for the two most important people in his world. Just as suddenly as things had unraveled for Tripp, his world changed for the better. Jessica received a call from a friend she hadn’t heard from in years, Alena Chandler. Jessica and Alena went to high school together. Alena had become an admin for Alabama Chivers, and she had heard about Tripp’s journey through the high school pipeline. She asked Jessica if she could nominate Tripp for a local event to raise money for him. Jessica said yes, of course. But she didn’t quite know what to expect. Last October, they threw a costume party (on an Alabama game day) in Tuscaloosa and invited the Nichols family. All proceeds were going to benefit Tripp. The family showed up and were immediately overwhelmed, not only by the amount of people, but by the genuine interest they showed in their son. “It was a wonderful night,” Jessica told us. 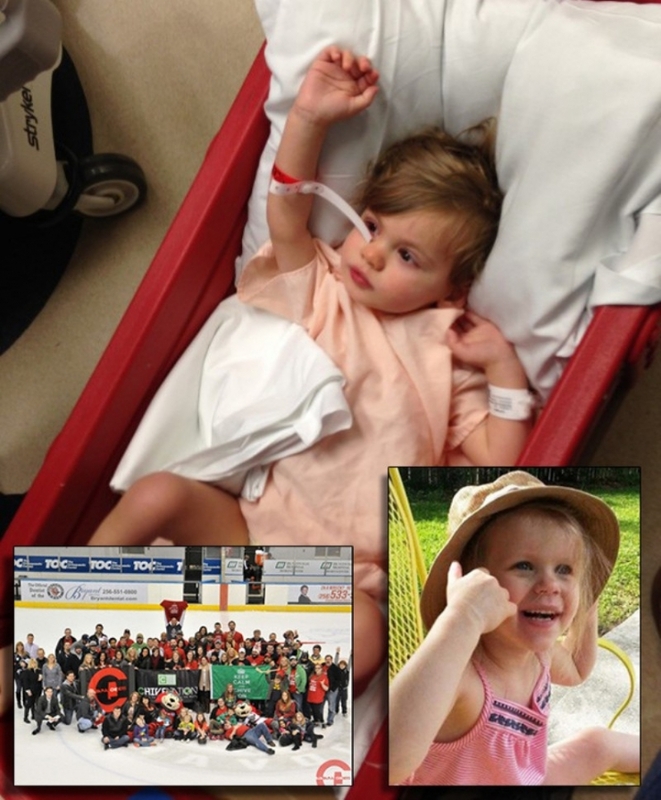 “We had the best time.” Oh, and one more thing – Alabama Chivers raised $5,000 for Tripp that night. Tripp had outgrown his chair and it had started hurting him if he sat in it for long periods of time. He needed a chair that could grow with him, not cause him physical pain, and support his growing core strength. Now they don’t have to. 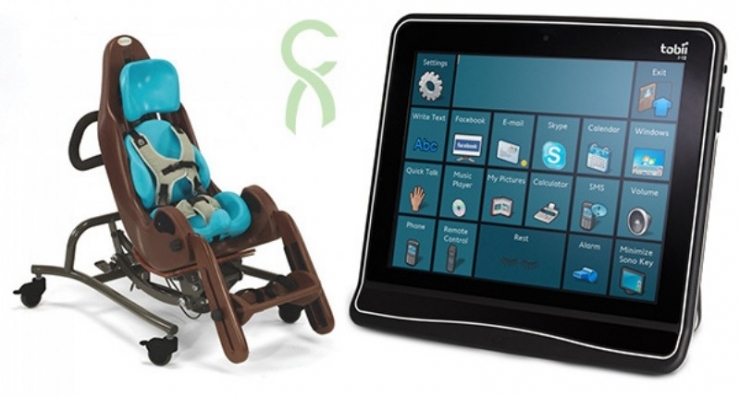 Tripp has a Tobii Dynavox communication device all his own, to use as often as he likes. And now with his new adaptive-seating Hi-Lo chair, he can finally be comfortable, safe, and sit at the kitchen table with his family for dinner. 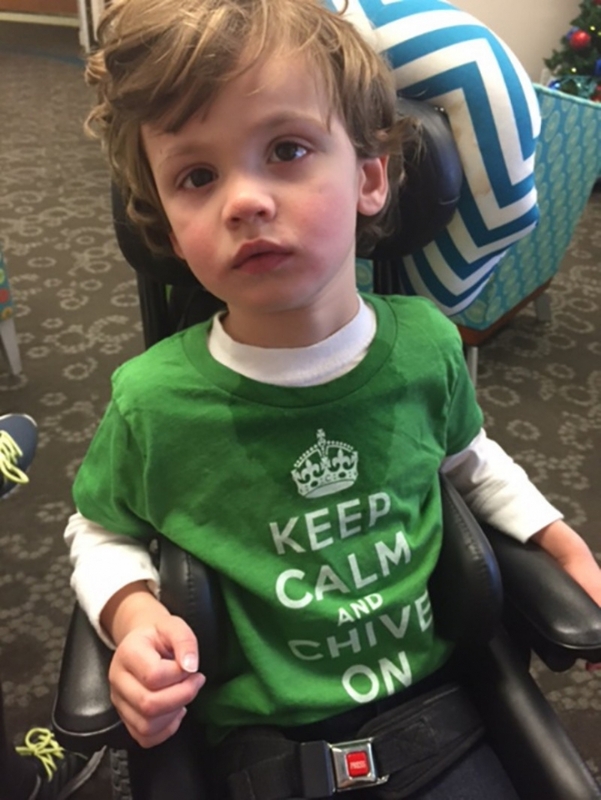 With a $21,000 grant, Chive Charities changed Tripp’s life. As doctors continue to search for a root cause for Tripp’s many sub-diagnoses: Autism, Dysphagia, Cortical Vision Impairment, Hypotonia, Dysphagia, Dystonia, and Choreoathetoid Cerebral Palsy, Tripp continues to go about his daily life. He continues to fight, even if he still doesn’t know what he’s fighting against. It’s scary for Tripp, and possibly even scarier for his parents. Because, to this point, all the EEGs and MRIs in the world haven’t been able to produce a diagnosis for this sweet boy. Each day the family moves forward, unsure of what the next 5 years or even the next 5 minutes have in store for them. They move forward, not blindly but led by their faith, led by hope. And now… they’ve got us behind them. Bring joy to the lives of others and join our mission to make the world a better place. Not a perfect place. A 10% happier place. Become a Chive Charities member HERE.